I don’t know what it is about being away from blog writing that makes it so hard to reboot. There is an element of stage fright that never seems to go away. 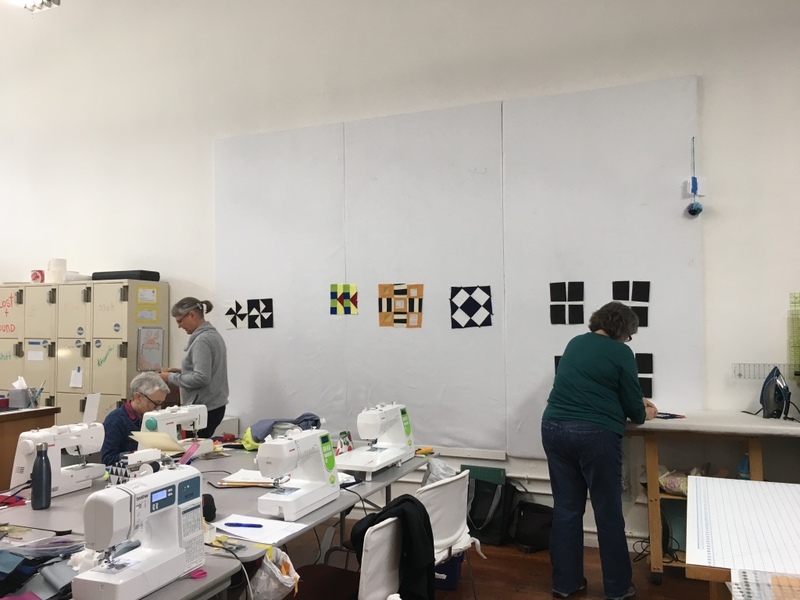 Early this past summer, Hello Stitch Studio asked me if I would like to exhibit my quilts in their studio, have a book signing, and teach a one day workshop. Well, of course the answer was YES. 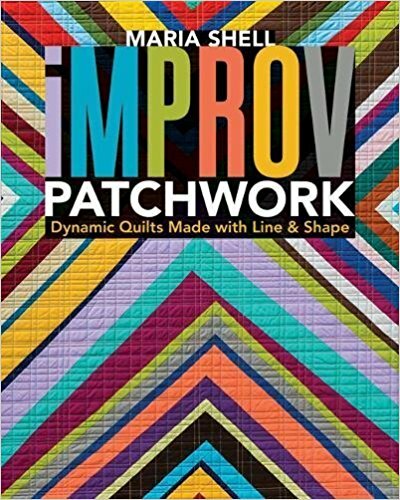 Improv Patchwork—Dynamic Quilts Made with Line & Shape came out in the middle of October, so the book signing was perfectly timed. My friend Deborah Boschert encouraged me to add some sort of flourish to my signature. She got the tip from Amy Meissner . I am very glad to have friends with such good ideas! I know my flourish is a bit time consuming, but I like it. If you would like your very own signed copy, you can order one here. 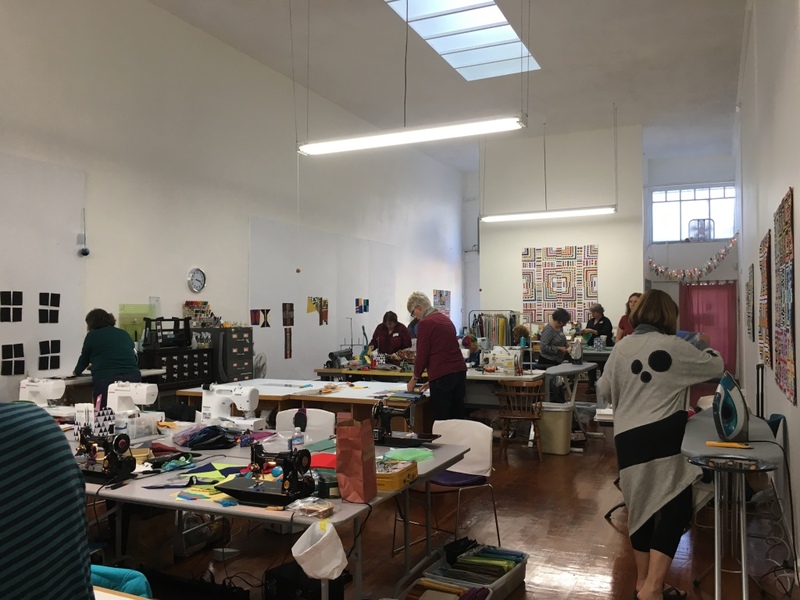 These are the three lovely ladies who are Hello Stitch Studio. 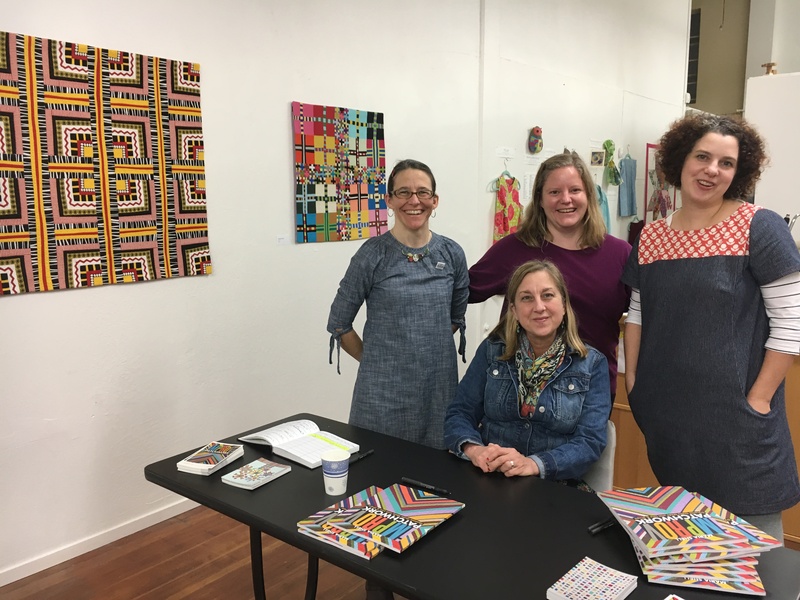 Kristen Takakuwa, Terri Carpenter, and Stacey Sharman are making it happen in downtown Berkeley. 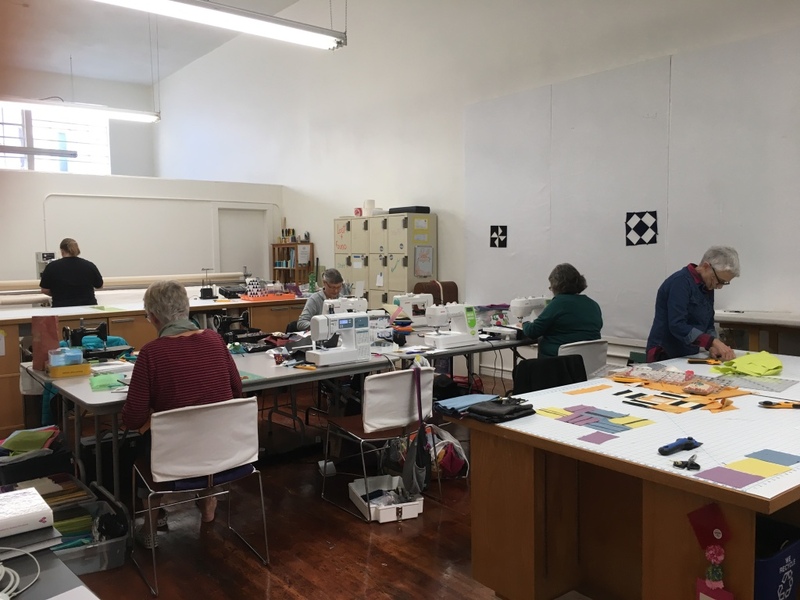 They have a full of array sewing machines for you to rent as well as an interesting selection of sewing classes for all types of stitchers. 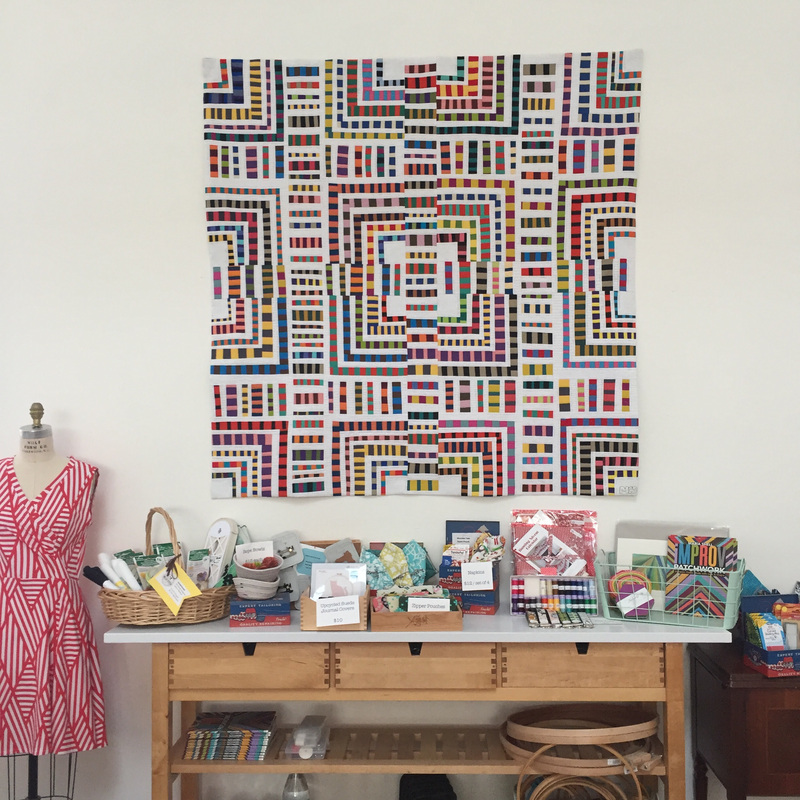 They use the walls as gallery space to feature artists and makers who create with sewing machines and their hands. It is a wonderful space. 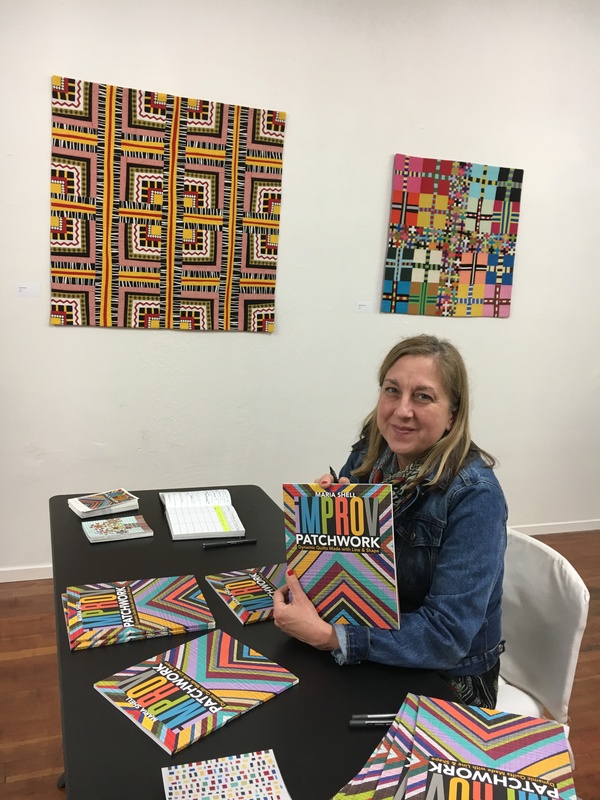 The day after the book signing, I taught Riffing on Tradition. 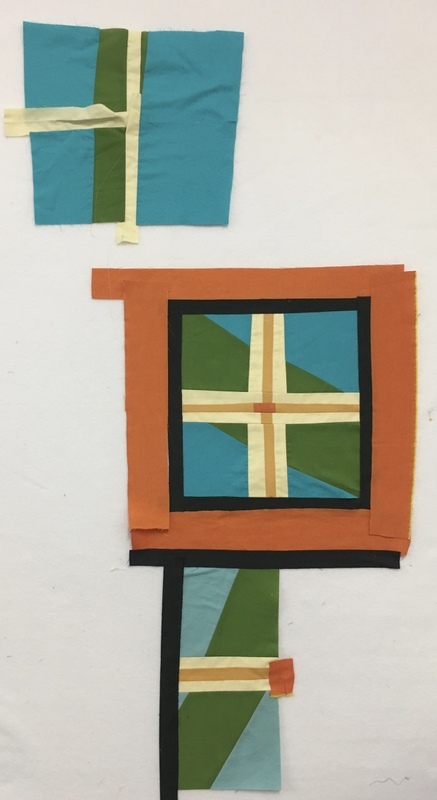 This workshop uses a traditional quilt block as the launching point for creative exploration. I began the workshop with a lecture about basic design elements and principles. We talked about line, shape & volume, texture & pattern, figure & ground, motion, color & value. 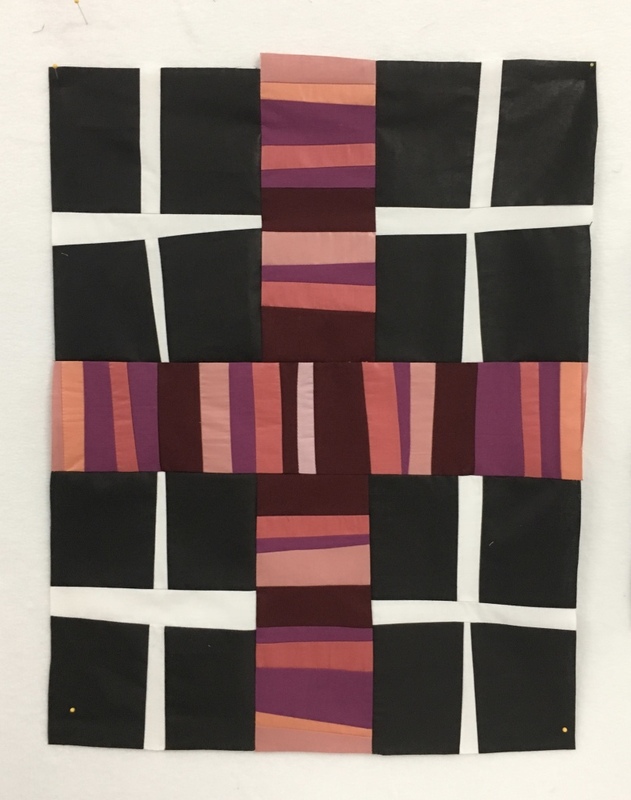 We looked at other quilt artist’s work, and how they manipulate these design principles & elements in their work. 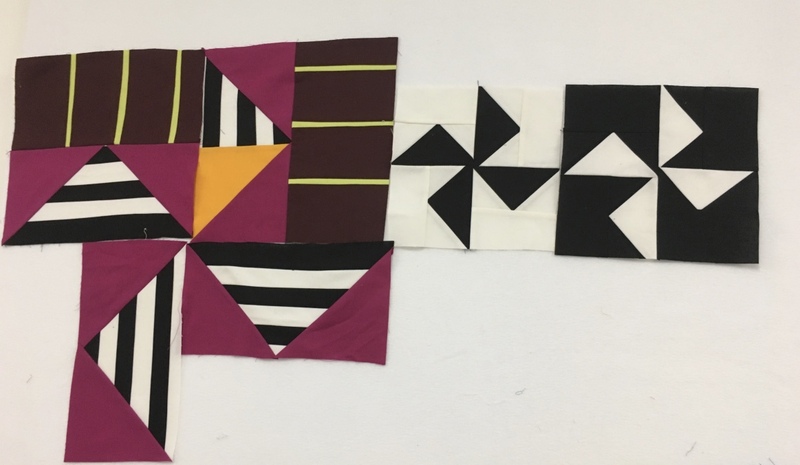 Students then selected a quilt block to work with from Barbara Brackman’s Encyclopedia of Pieced Quilt Patterns. It was a great group of students. They were quiet and focused. They produced wonderful wildly different examples of all the design elements. 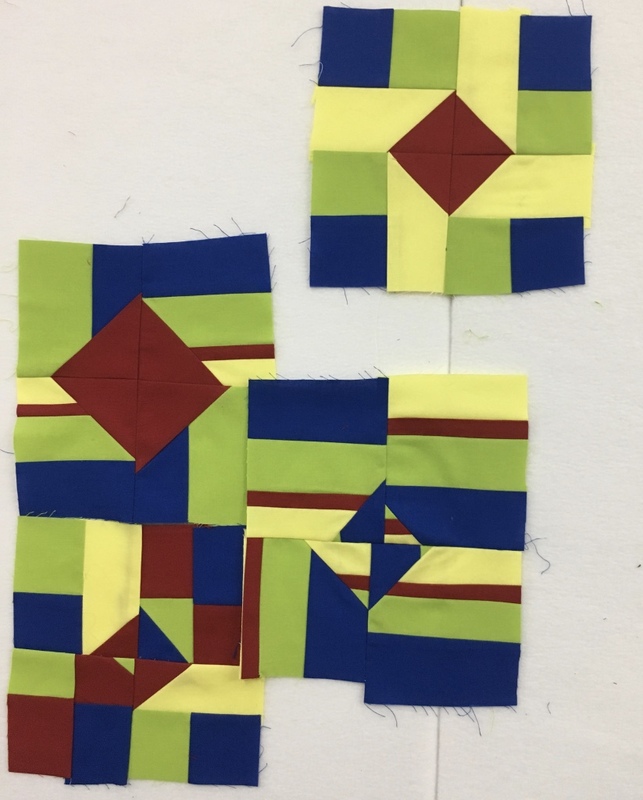 Some of the studetns worked with easily recognizable quilts blocks. This is the first time I have taught this class. 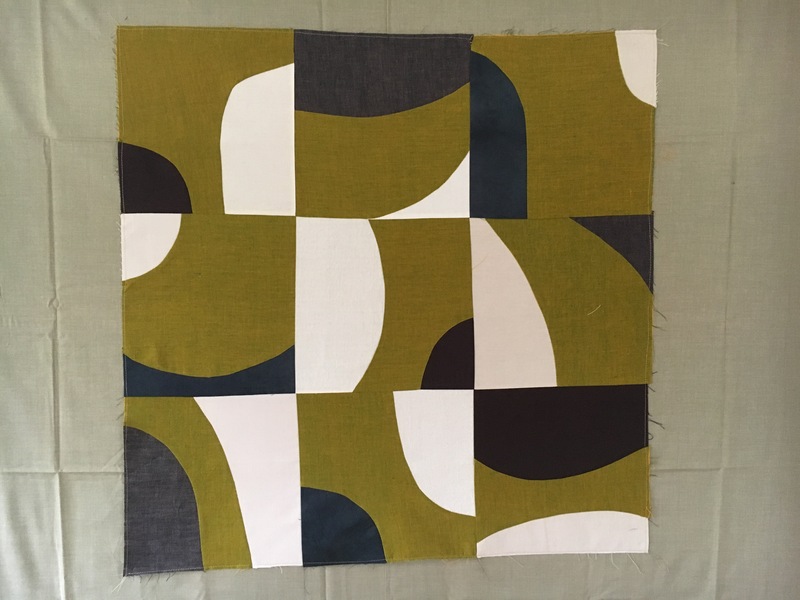 I like the pairing of design elements with the traditional quilt block. We ended the workshop with a sharing. 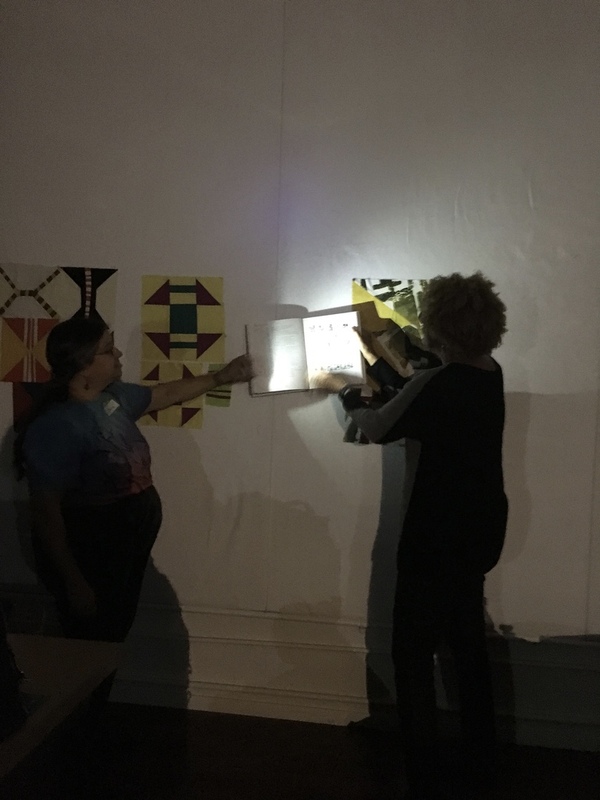 Each student stood in front of her work and talked a bit about it. 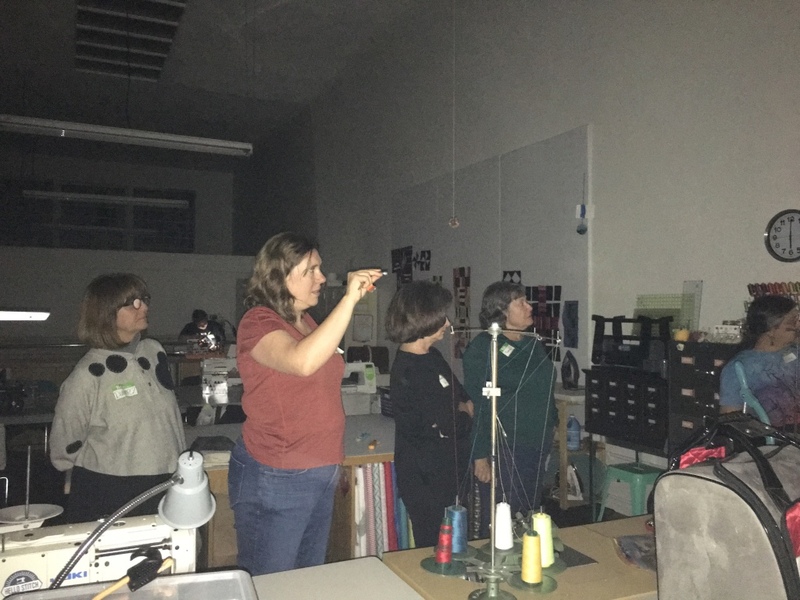 During the middle of this, the power went out! 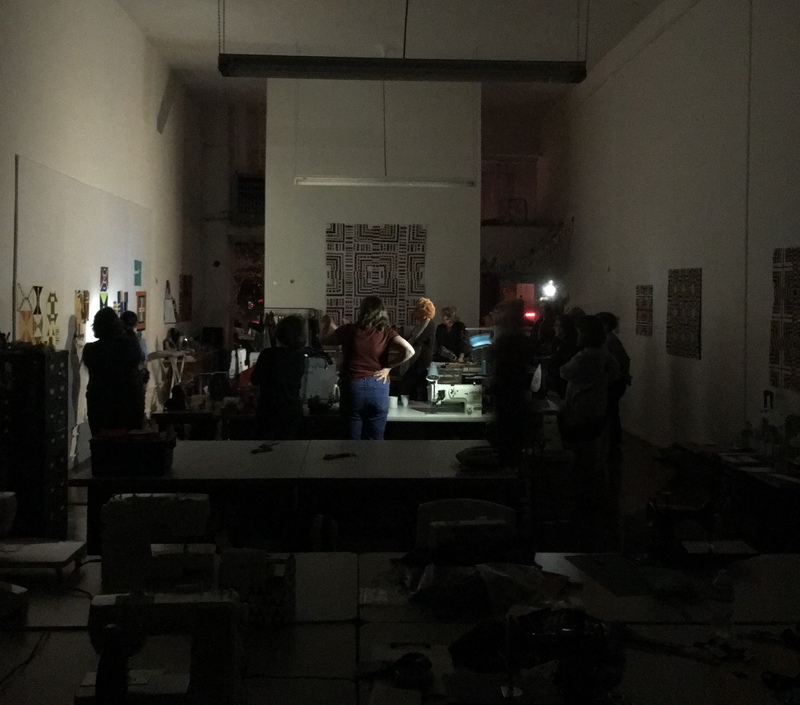 It turns out all of Downtown Berkeley was without power for about ten minutes. Smart phones have flash lights, so we carried on. I am very grateful for the opportunity to work with Hello Stitch Studio and the awesome ladies who make it happen. My work is on display until the end of December if you want to stop by and take a look. 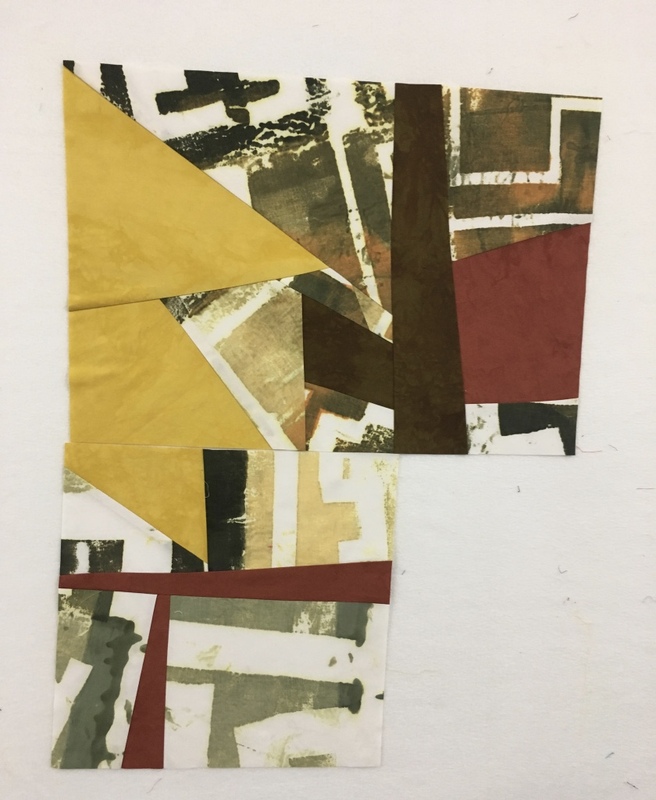 It is a comprehensive selection of work from the Color Grid Series. 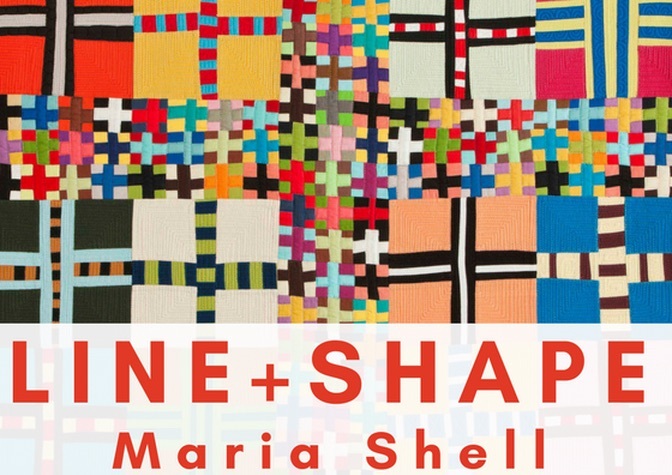 There are two new big pieces–never exhibited before– in the show. Berkeley was my last stop of the year. I am home now until April. I have filled my bobbin holder, and I am ready to stitch. What about you? 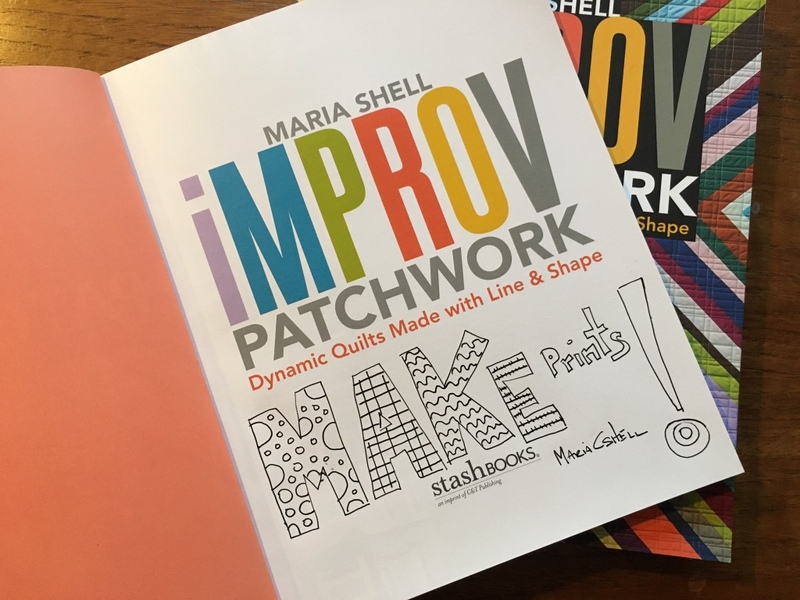 What is your stitching plan? 25 Nov	This entry was published on November 25, 2017 at 1:50 PM. 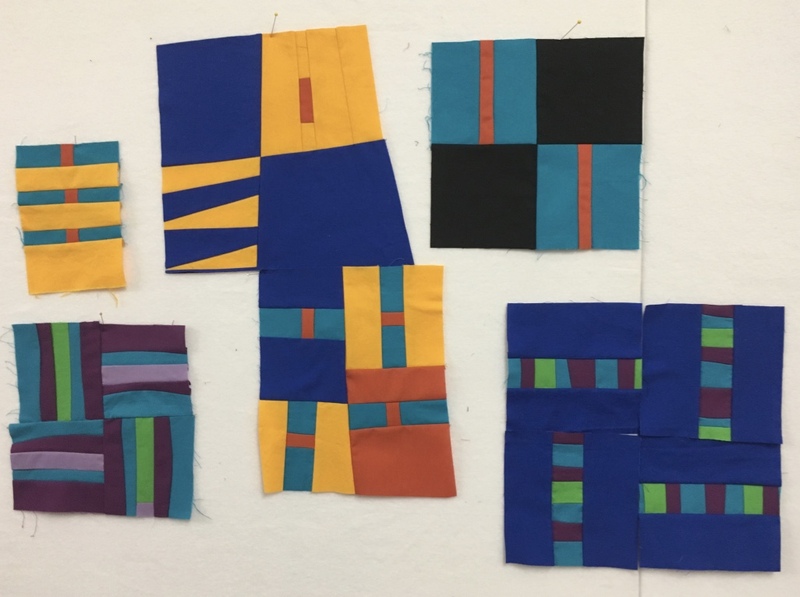 It’s filed under About Teaching, Art in Place, Color Grids and tagged Color Grids, Hello Stitch Studio, Line + Shape, Riffing on Tradition. Bookmark the permalink. Follow any comments here with the RSS feed for this post. I’ll definitely check out your display if I’m up in Berkeley. 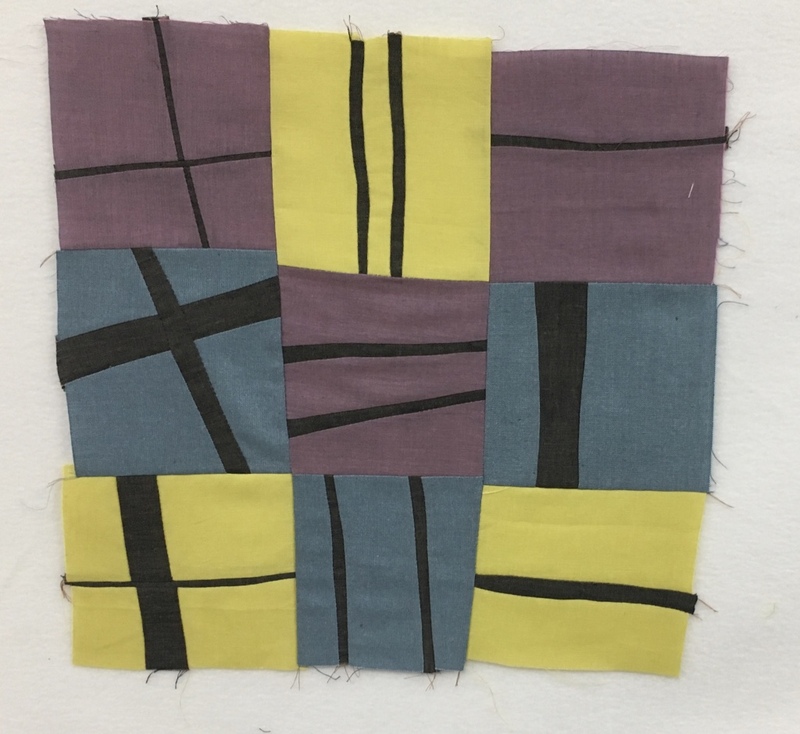 Didn’t the power go out when you were at the SJ Museum of Quilts and Textiles too?! Did that happen? I can’t remember! Life has been a blur. It was great to have margaritas with you! I hope we get to do it again when I teach in your area next spring. It’s so good of you to go back in time and share your teaching experiences with us. (I am struggling with how to reboot my blog.) 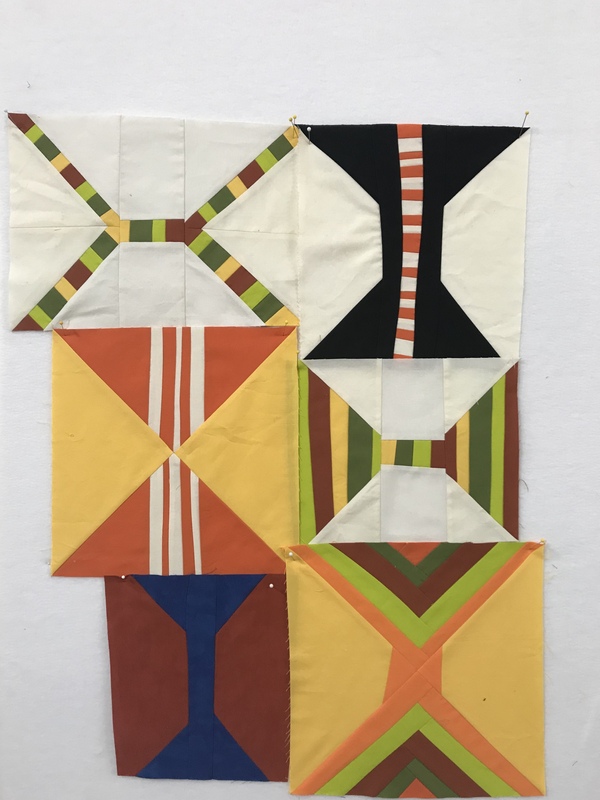 The newer quilt of yours with all of the white looks fantastic on a white wall! I would love to take this class from you. 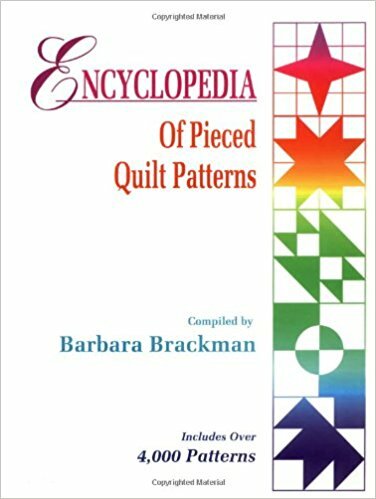 Looks quite intriguing and I love the idea of choosing one’s own quilt block to play with. Great story about the lights. I didn’t realize you were teaching in Berkeley or I’d have signed up. Darn. Need to pay more attention. No lights, no machines. There’s not a “no” that can keep you from delivering a fantastic workshop. I hope you teach this one in my vicinity one day. And hey, that’s a kickass signature. Wow, I LOVE your new quilt! Your signature is very cool. Have fun at home–the container full of bobbins made me laugh. 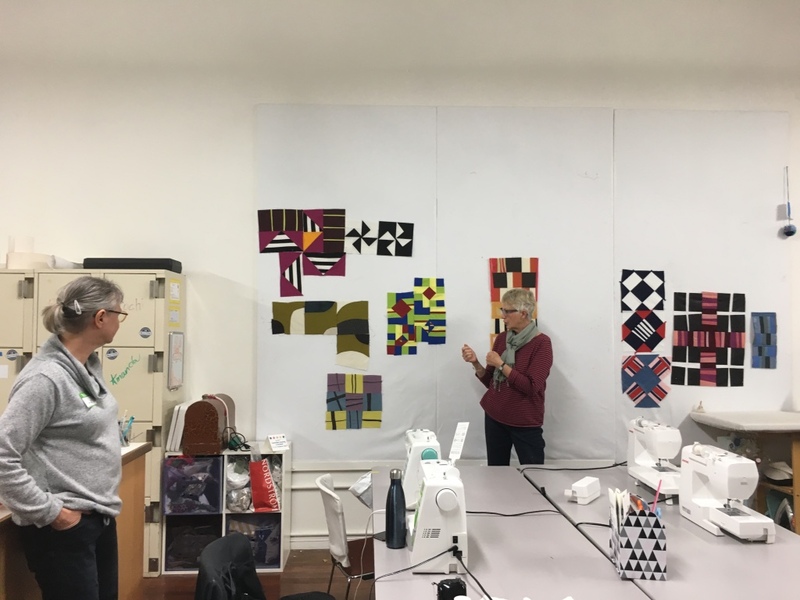 It was a great class! Thanks again for coming down to Berkeley. 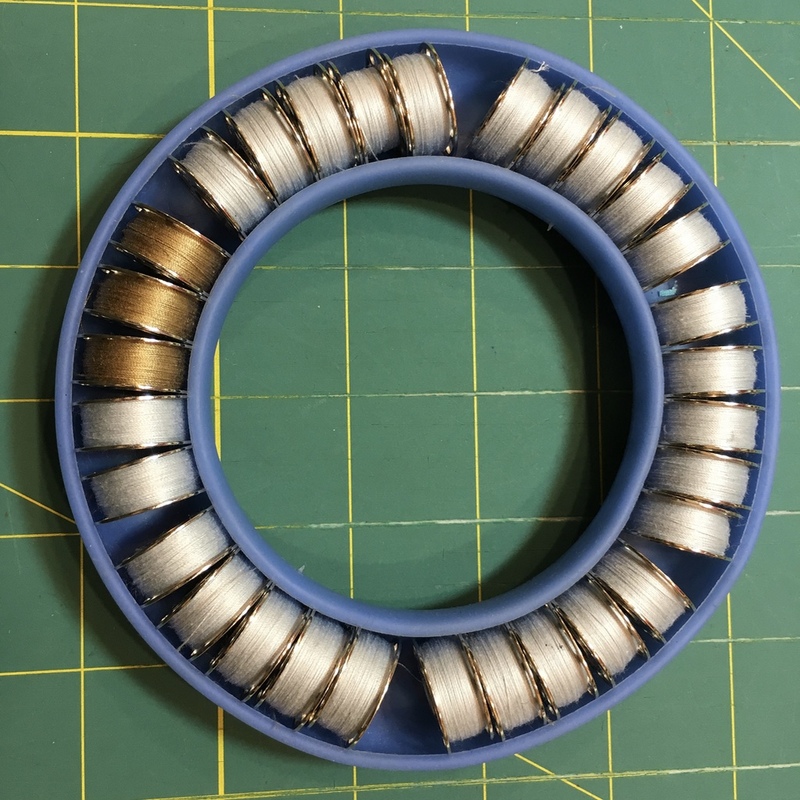 That is an intimidating amount of bobbins. Well, at least to me.